August 2nd, 2016 | Lifestyle. If you’re moving away from Denver, Colorado, you’ll miss any old friends you’re leaving behind. You may be excited, scared, or a combination of the two about this new chapter in your life. As you move forward, don’t forget to reflect on the past as well. Denver is an incredible place, and you probably had some good times there. Keep reading for a reminder of the things that you’ll miss when you move—and the things that you won’t. Denver is known for having some of the best mountains around. If you like to ski, mountain bike, bird-watch, hike, fish, or rock climb, then Denver is a wonderful place to live. The local mountains make for a spectacular view, and spotting the wildlife in them (including a bison herd) is always exciting. The Broncos are awesome, and going to home games is a big advantage to living in Denver. However, you’re leaving more than just the Broncos—Denver has several great professional sports teams. You may miss the Avalanche, the Rockies, and the Nuggets as well, or maybe even the two pro lacrosse teams. Denver may not be close to the border, but it’s still got a thriving Mexican community. What else would you expect from the place where Chipotle began? Hopefully you tried great mom-and-pop Mexican restaurants on Federal Boulevard and ate lots of Denver’s unique green chili before you left. Downtown Denver has a great nightlife. You may have wonderful memories of staying out late with your friends, clubbing, shopping, and going to concerts. Denver has many of the attractions of a big city, like a thriving art scene (you visited the Denver Art Museum, right? ), consistently hilarious comedy venues (like at the Fine Gentlemen’s Club), and stunning local musicians (at places like Mutiny Café). Denver may have the attractions of a big cosmopolitan city, but it also keeps its western vibe. The National Western Stock Show takes up a full two weeks every year, and it includes everything from a rodeo to show horses to livestock auctions. If you’re headed out of the West, you may miss going to events like this. B Cycle is a one-of-a-kind bike-sharing system, and you won’t find its equal outside of Denver. B Cycle gives patrons many options for passes, including an annual pass, a month-long pass, a week-long pass, or even just a day pass. You may miss being able to grab a bike whenever you need to get around downtown. If you love biking, you might also miss the Denver Cruiser Ride, or the DCR. It’s the nation’s biggest social bike ride, and its Wednesday-night events attract thousands. Even if you didn’t participate, you may miss the spectacle of thousands of bikers wearing costumes, including moose antlers and zombie face paint. Forbes ranked Denver in its top 10 list of dog-friendly cities, and Men’s Health ranked Denver as number five in the nation. If you have a dog, you may miss the numerous dog parks and seeing so many other pets around town. It’s true that Denver does have some great weather—it’s often sunny and mild. However, it’s also extremely unpredictable due to the nearby mountains. You may have begun some of your days with a snowstorm and finished them wearing shorts. And the weather forecast may not have been very specific or helpful. You may be thrilled to get to a more stable climate. Denver is on its own in many ways. If you want to get out of town, you may have had to drive a long ways. Las Vegas is about a 10-hour drive away, and Phoenix is about a 12-hour drive away. You may be happy to move to a city that’s more connected to the surrounding area. Denver is growing, and with that growth comes some headaches. Rent prices have been going up steadily, and traffic congestion is a real problem. Denver may not be Los Angeles, but you may be moving because the city isn’t what it used to be, and you’d like to be somewhere quieter and smaller. If you’re moving away from Denver, Colorado, you might be sad to leave so much behind. 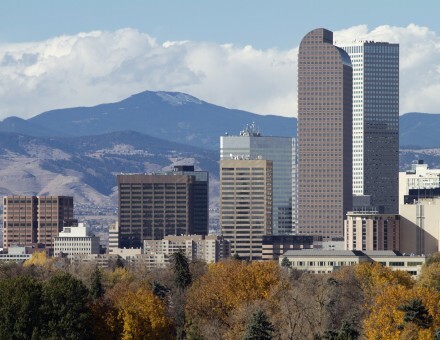 The Mile High City is unique, and you may have enjoyed your time there. Whether you’re moving away by preference or by necessity, you’re likely to miss Denver—though you may not miss everything. To make sure your move goes smoothly, contact one of the Wheaton agents in the Denver area. We are a full-service mover with more than 70 years of experience—we can help you with anything from planning your move to unloading your boxes at your new home. Contact us for a free estimate or to get started.